FOREST GROVE — The second installment of the 2018-2019 Pacific University Performing Arts Series features the John Jorgenson Quintet at 3 p.m. Sunday, Nov. 18 in McCready Hall of the Taylor-Meade Performing Arts Center on the Forest Grove Campus. Originally scheduled for Nov. 10, the show’s date and time has changed because of a scheduling conflict. Perhaps best known for his guitar work with the Desert Rose Band and The Hellecasters, John Jorgenson and company delight audiences with a dynamic musical palette mixing world music, bluegrass, rock and classical. Renowned for his blistering guitar and mandolin licks, Jorgenson tours with a variety of musical groups. As a member of Desert Rose, he won the Academy of Country Music’s “Guitarist of the Year” award two consecutive years. The John Jorgenson Quintet, in particular, honors the legacy of jazz great Django Reinhardt, bringing a unique brand of 1930s gypsy jazz swinging style that includes elements from Latin, Romanian, Classical, Rock and Greek music. 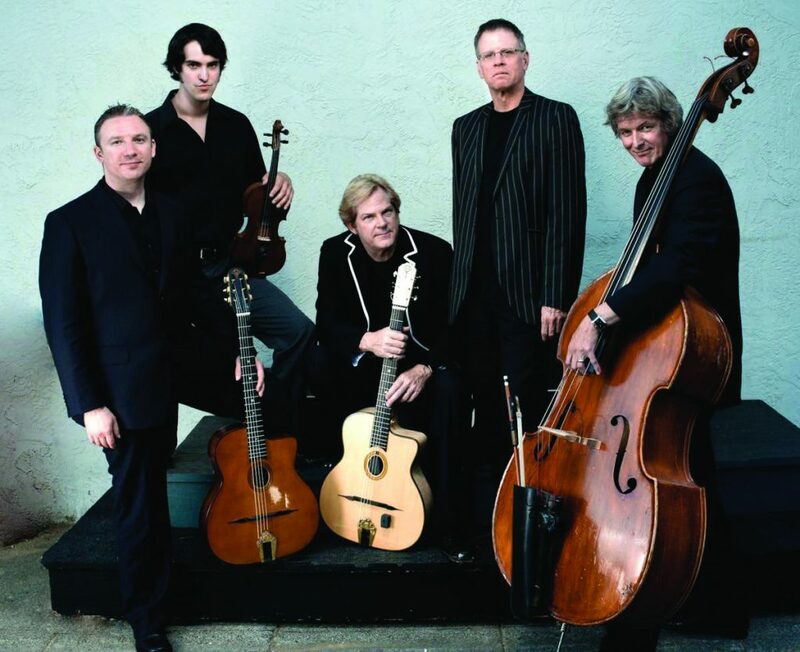 The John Jorgenson Quintet is the only American act to ever headline the prestigious Django Reinhardt Memorial Festival in France, and has been featured at other “Djangofests” in the US, UK, Germany and Canada. Jason Anick, a prodigious jazz violinist who is considered a rising star in the world of jazz violin and mandolin. Max O’Rourke, a composer, arranger and jazz guitarist, and winner of the 2015 Saga Djangofest Award for outstanding young musicianship in the genre of gypsy jazz. Simon Planting, a Dutch bassist well-known and respected in the gypsy jazz community who has performed in concerts and festivals around the world and compiled an impressive discography. Rick Reed, a veteran percussionist renowned for his intricate brushwork and swinging drive whose natural talent and dedication has led him to collaborations throughout the world. Admission is $25, with discounts available for senior citizens and Pacific University students and employees. Pacific’s 2018-2019 Performing Arts Series is celebrating its silver anniversary season, and is presented by Tuality Healthcare, Diversity Cafe and D.B. Hornberger Co.
For more information, please call the university Box Office at 503-352-2918 or visit pacificu.edu/pas.